This aromotherapy bar combines the refreshing scents of spearmint and eucalyptus. 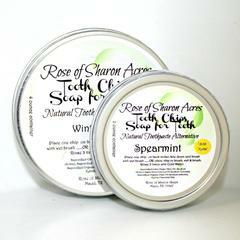 Spearmint is said to increase alertness and open up the respiratory system. Eucalyptus can stimulate the skin while also being highly anti-microbial. Set in a foundation of skin loving Extra Virgin Olive Oil and the natural emolliants found in Goat Milk, the scent stimulates your senses while the foundation feeds your skin. What a combination!